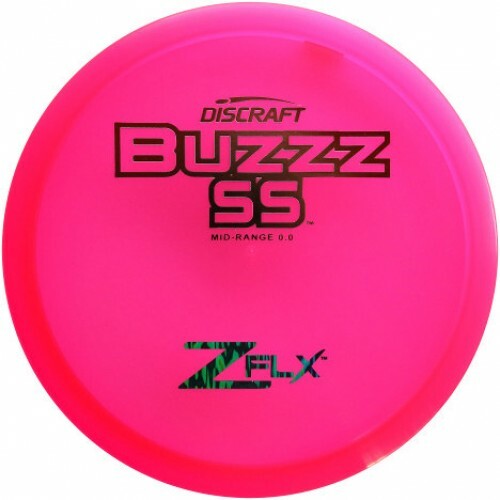 The Discraft Z FLX Buzzz SS is a stable mid range driver (0.0) that flies like a well-seasoned Buzzz right out of the box! Use it to hit pinpoint gaps, and take advantage of its nice glide for super smooth, buttery anhyzers. Buzzz SS is a must have for all Buzzz fans. This disc golf driver is suitable for all skill levels.